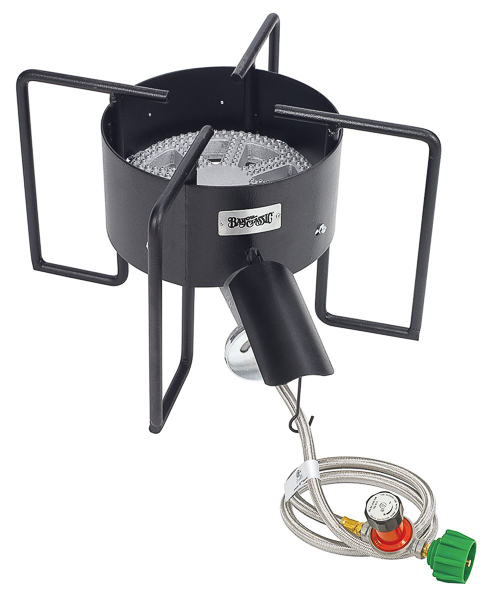 Many homebrewers consider this burner to be the "king" of burners for kettles under 25 gallons in size. It has a 12.5" tall welded steel frame and a 22" large cooking surface, which can support kettles and keggles with a minimum 20" diameter. This is a heavy duty burner with a large cooking surface that can safely support a heavy brewpot. 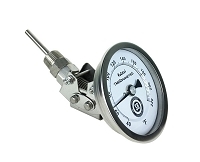 30 PSI preset regulator with 48" stainless braided hose and brass control valve.